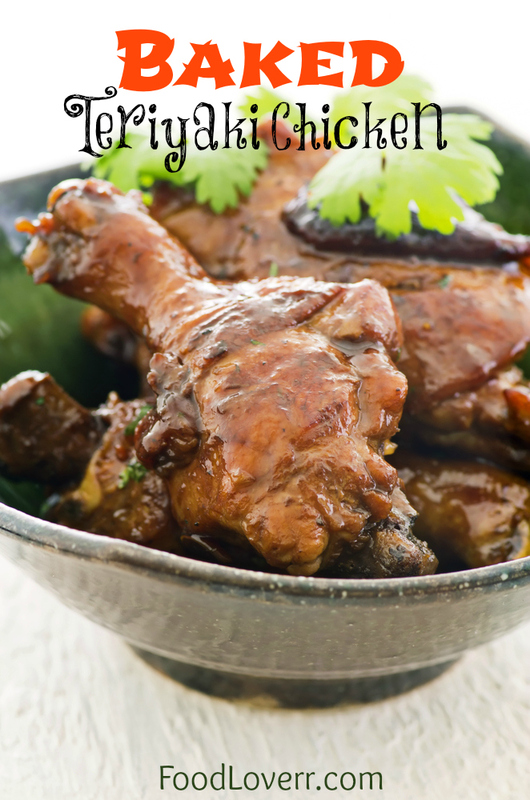 This extremely yummy recipe for teriyaki chicken will not disappoint and smells simply wonderful when baking. To make a meal with your chicken you can add fresh snow peas, sliced water chestnuts, onion, green peppers and pineapple chunks and serve on some well steamed white rice. I really love ginger so I recommend some fresh ginger also. Or of course you can just eat the chicken by itself just make sure you prepare plenty of sauce for basting because it really is better than any bottled stuff I have tried. Brush with sauce every 10 minutes during cooking.